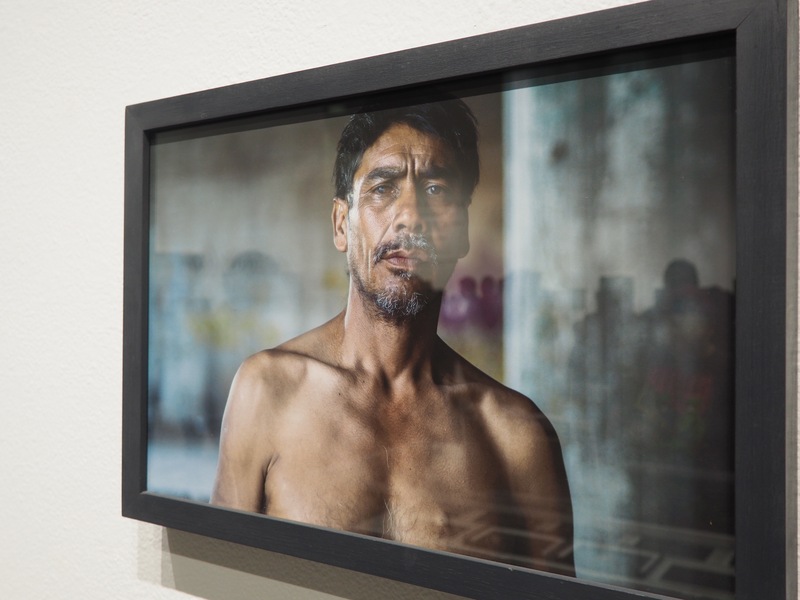 The Pima Community College Bernal Gallery is presenting SEPARADOS POR FRONTERA – SEPARATED BY BORDERS, an art gallery featuring works from Sonoran artists. The Bernal gallery is located at PCC West Campus and will displaying the exhibit from February fourth through March eighth. The gallery is open Monday through Thursday 10 a.m. – 5 p.m., and Friday from, 10 a.m. – 3 p.m.
On display are works from artists Francisco Larios Osuna, Miriam Salado, Carlos Iván Hernández and Nahatan Navarro, all of which have their work tied to the the state of Sonora. “They all have origin from Hermosillo, Mexico, one was born in wiamus, one was born, Carlos was born in Mexico city. They all went to school at the university of hermacio and now they’re dispersing.” said David Andres, director of the Bernal Gallery. Each artists exemplifies their understand of their respective mediums which range from photography, sculpture, drawing and print while incorporating usage of of materials such as desert brush, gold leaf and wood to provoke a uniquely Sonoran vibe. Like Lawrence, most of the artists have their works featured in museums across the United States, Latin America and Europe, and are also featured in magazines like Curatosuro. Andres wants to challenge the perception of Mexican art, and people’s own preconceived ideas on what that art looks like. “One of the reason I called (the gallery) separated by borders was not to, although I am a big proponent of trying the break down that (border) barrier. What I’m trying to bring light to the artists across any border to the united states are no different from us and we are no different from them,” Andres said. Sonoran culture is not all that is on display; as with all art each piece has deeper meaning and motivations, each expressing something from the heart of the artists. While the gallery isn’t intended to only discuss the issues surrounding the southern border, the concept of the border and the problems that stem from it are prevalent. With a variety of mediums, cultural and political undertones and an overall unifying theme, the gallery exemplifies the talent and beauty of Sonora that can only be capture on a canvass. The Bernal Gallery is located at the Center for the Arts on West Campus, 2202 West Anklam Road in Tucson (just west of downtown). For more information about this exhibit please contact the gallery at 520-206-6942 or centerforthearts@pima.edu.